I have been gone for too long but after a day of sick naps I am back. I am back and half revived. Not entirely because I still feel like I’m a zombie pony. But with my shades and a dim computer as migraine prevention, I am going to TYPE THIS RECIPE! Prepare your baking bodies for it is time to get to BAKIN’! 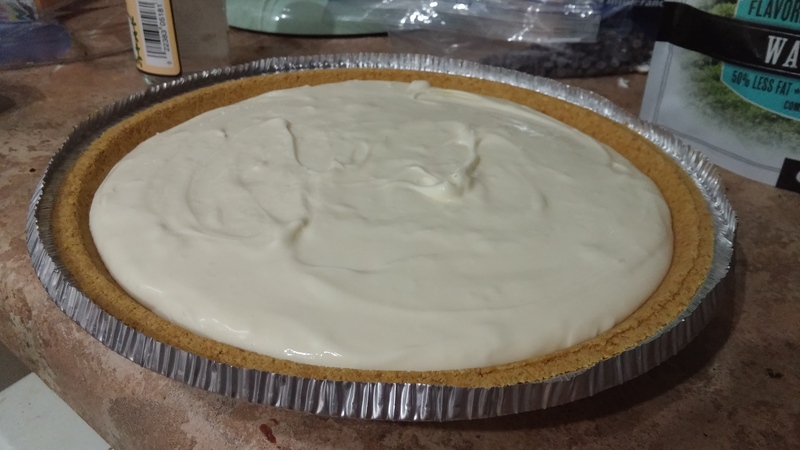 This will make one big cheesecake that fits in those normal sized cheesecake pans if you’re using those smaller pre-made pie crusts this recipe will make two. Guava paste an entire 21 oz tin! Or Jam or Jelly or any kind of guava topping you have. I prefer guava paste. Also, guava paste quality will vary. 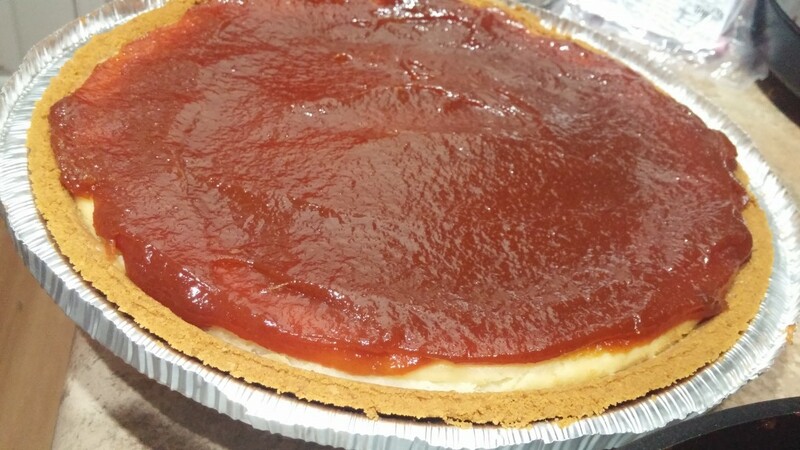 My first attempt did end up with a very gummy guava paste topping. However, most guava pastes will melt easily but melt with caution and do not become discouraged. 1. Prepare your jazz hands. Jazz hands are required to bake all kinds of cheesecakes. If your hands aren’t loose and jazzy they will not be able to create a fluffy yet creamy cheesecake and who wants a stiff cake? No one. If you need some kind of upbeat music to facilitate jazzy hands, I suggest you acquire some. Once your hands are good and jazzy, jazz it up. Dance like you have never danced before and then preheat your oven to 325 degrees. 2. Before you can start baking your cheesecake, make sure your cream cheese is at room temperature. Cold cream cheese will make your cheesecake cold and unhappy. It will not let anything go. Give each of the cream cheeses a good sassy shoulder wink before adding them to your mixer, add the sugar, vanilla, and sour cream and mix until all the ingredients are well incorporated. 3. Once the creamy mixture is lumpless and joyful, add the eggs. Only mix the concoction for a bit, not for too long. You only want the ingredients to become friends but not too friendly. If they get too comfortable, things will get awkward and stuffy. 4. I used pre-made pie crusts and baked my cheesecakes for 50 minutes. Let the cheesecake sit in the fridge overnight or for 3 hours. 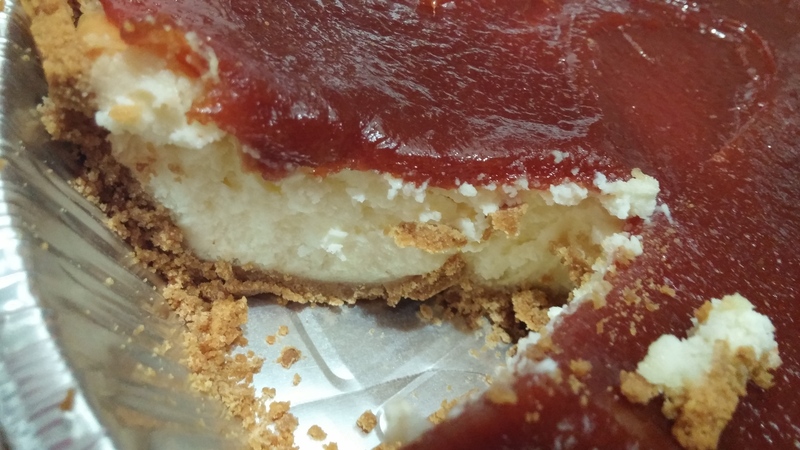 Do not melt the guava topping until you are ready to eat the cheesecake! 5. If you’re using guava paste, you just need to heat it up on medium heat in your sauce pan. I suggest using a bit of butter prior about 1 tbs to prevent sticking. 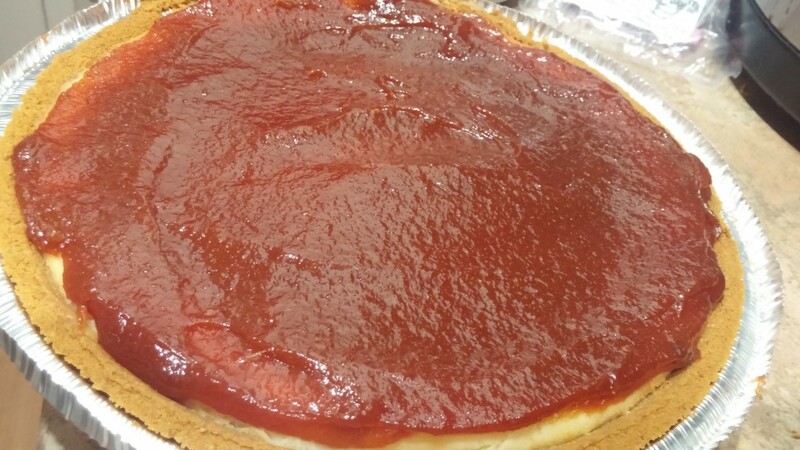 Continuously stir the guava paste until everything melts let it sit until it is no long too hot then pour on top of your cheesecake and let it cool for 30 minutes to 1 hour. ← Hey! It's been forever, I know. But! Follow me on Bloglovin! Haven’t had anything guava for years… now craving! Marisa, you need some more guava in your life! boo – migraines are the worst. But this cheesecake looks the best – such a fab idea to pair the paste with the cake.